This week was a bit rough all round really. My cold was still sticking around, it still hasn’t been that bad but it’s annoying and I just wish it would go away. I had a lot to do outside of work this week in the evenings and trying to fit study in as well has been hard. This week the baby is the size of kumara (or sweet potato) and I finally started to feel it move! I’m going to shift the week I cover in my posts a bit. Last time I saw the midwife I figured out the way she counts my weeks was a bit different to how I had been, she’s working a few days ahead so Friday is my new day when I go into the next week (it had been Sunday). Starting where I left off last week we had a lazy day at home on Sunday. Although I call it a lazy day I still have heaps to do and catch up on around the house but I can take my time and do it when I feel like it. I got myself well organised for the week ahead and it’s always good to head into a week being well prepared. I didn’t have any pregnancy related appointments or anything this week but I have started to feel the baby move. The first couple of days I wasn’t sure because it was so faint but I’m pretty sure now after feeling it move either early morning before I get out of bed or at night when I’m sitting quietly. Sometimes It’s just a light movement where it must be a leg catching me when it kicks but I think I’ve felt it do a full 360 turn a few times now too. 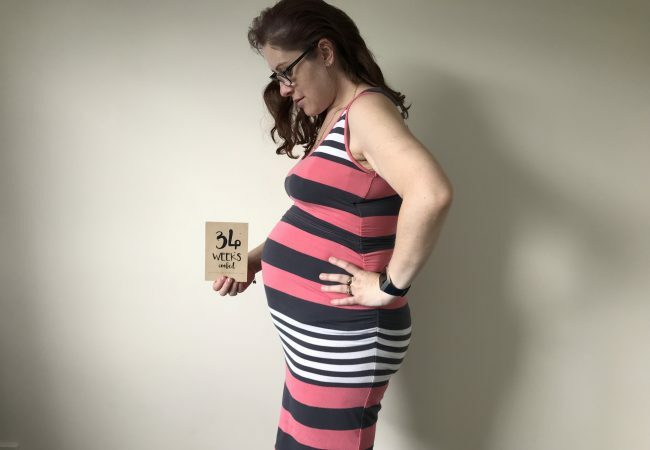 It feels a bit odd, and it’s a reminder that there’s a live baby in there! I find it reassuring though and it’s starting to make it all a bit more real, since I’m nearly halfway that’s probably a very good thing! I made some good progress on my study this week but I still feel like I’m treading water with it all to be honest. I did what I could this week but it was tough to motivate myself I have to say. 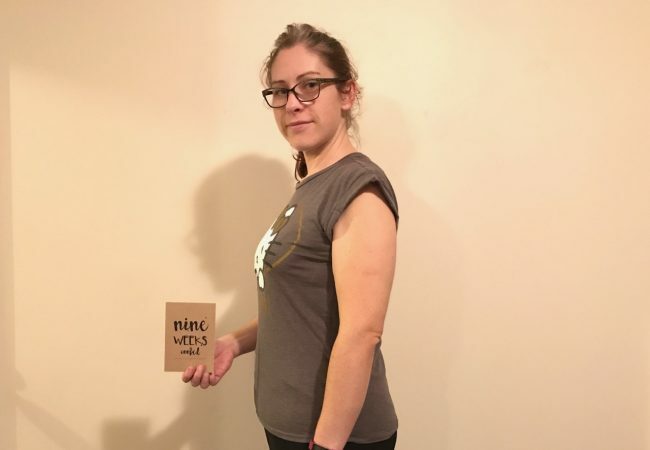 I am really enjoying it and am learning heaps in this intake but I’m starting to look forward to finish it and being able to coast to the end of my pregnancy with a couple of months break from it before the baby comes. How far along? 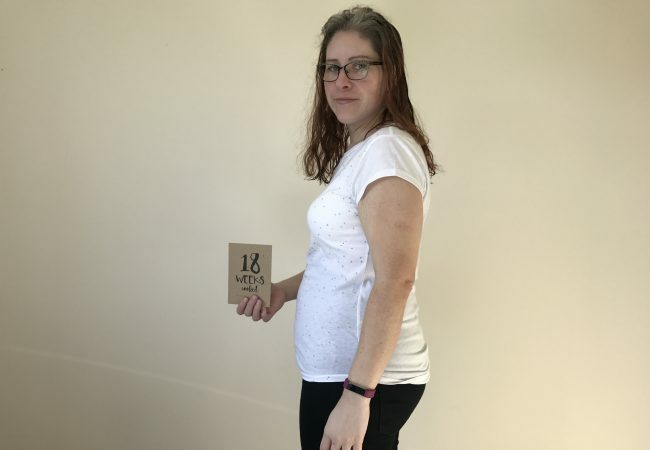 Nineteen weeks now. The last few seem to have gone fast and those weeks are going quick. How big is the peanut? The size of a kumara or sweet potato. Total weight gain/loss? 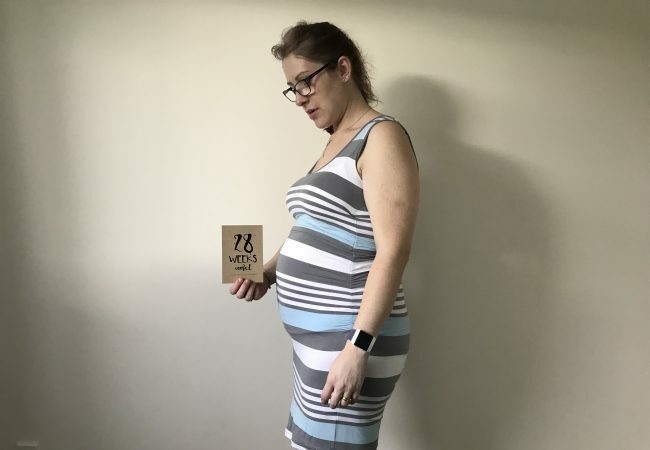 This week I gained 700 grams. Maternity clothes? I am firmly only fitting my maternity jeans and I need to get another couple of pairs soon. I need a couple more tops too, I have just enough at the moment but it’s starting to get difficult. Sleep? This week wasn’t great. With a sick kid who was up during the night and being restless myself a couple of nights I’m a bit sleep deprived again. Best moment this week? Starting to feel the baby move. It’s nice to know they’re in there! Symptoms? I have had a little bit of round ligament pain again this week but the biggest one would be feeling the baby. Gender? We should find out in a couple of weeks at the anatomy scan. What I miss? I started daydreaming about hummus this week. What I’m looking forward to? Finding out the gender in a couple of weeks. Milestones? Feeling the baby move and being sure that it was the baby! Bump? It’s there, in the mornings it’s a bit small but it gets bigger throughout the day!